A writer of mysteries. I love to create eccentric characters and plots with as many twists as a country lane. I live in the beautiful Cotswolds in the UK, which is where my books are based. 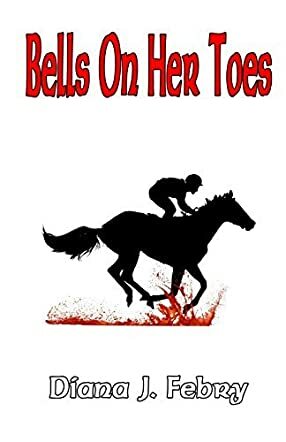 Bells on Her Toes by Diana J. Febry is a murder mystery with an equine slant. DCI Peter Hatherall and Detective Fiona Williams investigate a suspicious fire in a barn on the Elmsgrove Estate, and find a body in the barn. The Earl of Ditchburn is involved in activities that are upsetting environmental and animal rights groups, but more deaths are to follow and it looks like the Elmsgrove Race Yard is the target, not the Earl himself. Toxic spraying, fracking, corruption, a virus that spreads through the yard and a number of suspicious neighbors lead to a complex case for Hatherall and Williams to wade their way through, as well as dealing with their own personal problems - but can they find the guilty party before someone else has to die? Bells on Her Toes by Diana J. Febry was as good as the preceding book, The Skeletons of Birkbury, where we first met Hatherall and Williams. It is a complex story with lots going on, a very busy book. But, it does all become clear towards the end and all the little sub stories that are meandering their way through the main story come together nicely to complete the tale. I love the way Ms Febry writes, she has a real way with words, a way of drawing you into a story, and creates excellent characters that you can really identify with as well. Looking forward to reading the next installment if there is one!